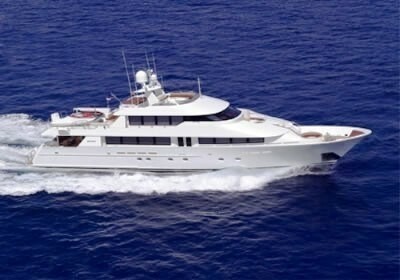 M/Y ARMS REACH is a 2004 39m (130') Westport luxury motor yacht. 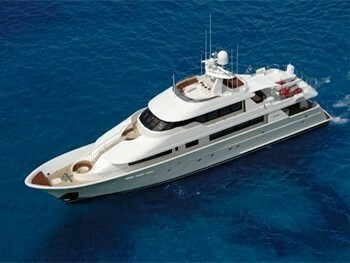 She is able to accommodate up to 10 charter guests in 5 cabins and she has a permanent crew of 6. 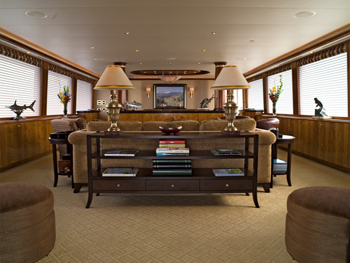 Salon/Main Deck: Double doors open to the yacht’s Aft Deck and walking forward, to your port and starboard are two soft chairs with ottomans. 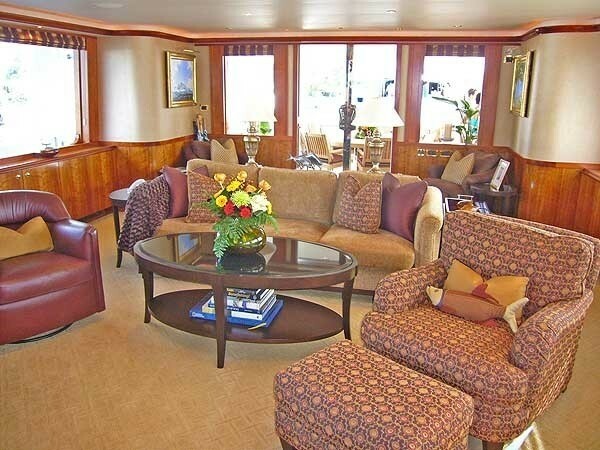 The luxury motor yacht’s conversation area is next with a deep rich brown sofa, chair with ottoman, and two burgundy leather rocking chairs surrounding a wood with granite accented coffee table. 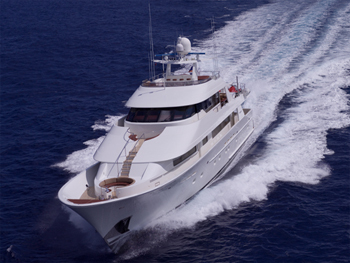 The middle of the yacht’s salon contains a 42” pop-up Plasma TV and full entertainment system/Surround sound. 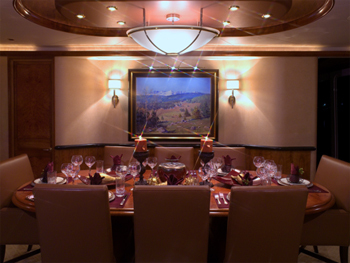 Continuing forward is the intimate dining area which seats 10. 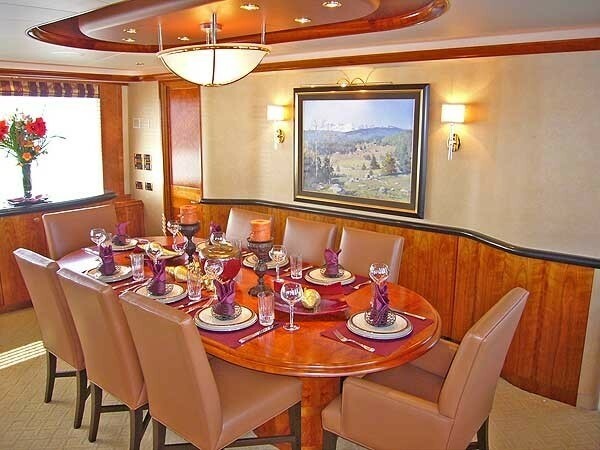 A day head is located forward of the dining area to starboard. 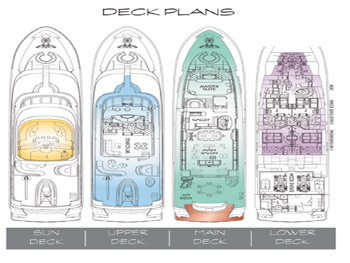 Sky Lounge: Fully enclosed. This favorite gathering area features plush, spacious seating, a full bar with three bar stools, mini library, game table, relaxing sofa and a 27” TV/DVD w/theater sound. 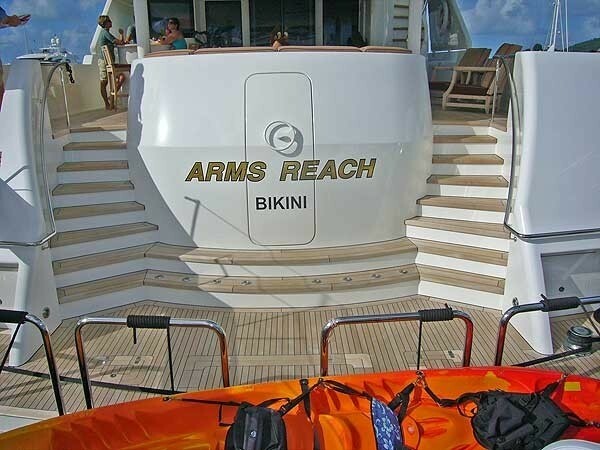 In addition ARMS REACH has a day head just forward of the sky lounge. Sky Lounge Deck: CD player, BBQ grill and formal dining area with 4 chairs and L-shaped seating at an expandable table. 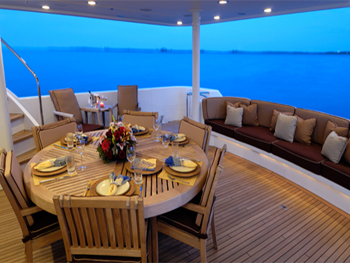 Sun Deck: Open area with wrap around seating and 2 large umbrellas for shade. 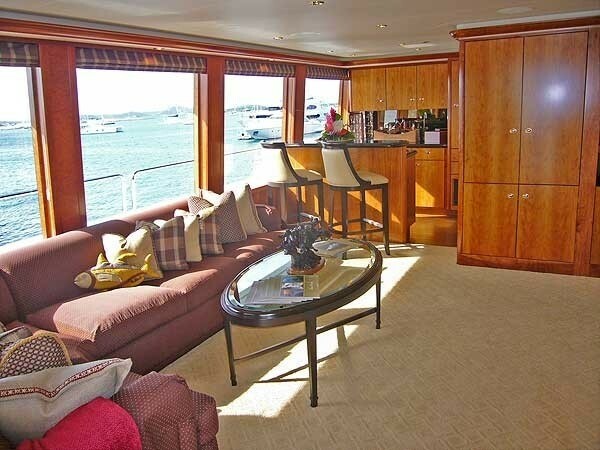 Sun pads and wet bar with 4 bar stools complete the area for great conversation and sun. 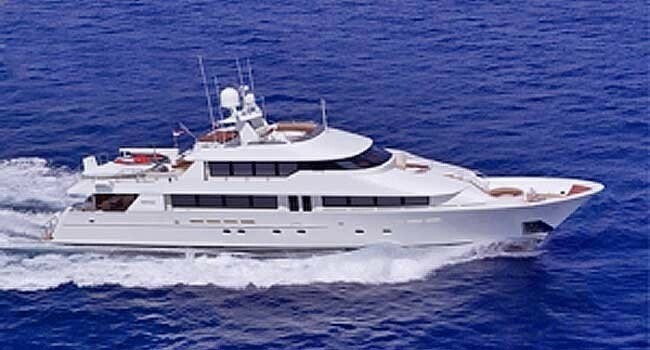 This Westport motor yacht can accommodate up to 10 in 5 cabins: Master Stateroom: On-deck Forward: Full beam master contains walk around King-size bed with private office area. 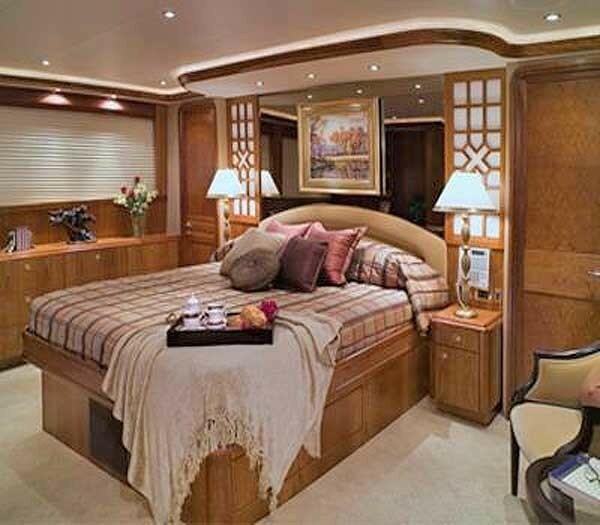 The suite has a walk-in cedar lined closet, settee/vanity and expansive dresser with ample storage space. 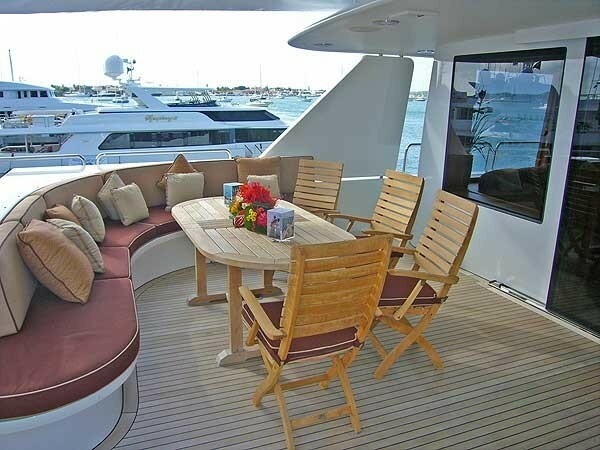 Seating area with 2 plush chairs and table. 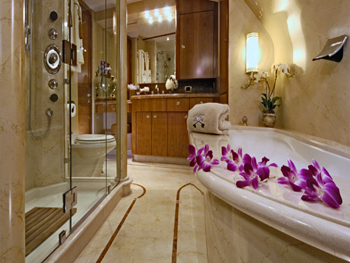 His and hers spa style head with dual entries from suite area. 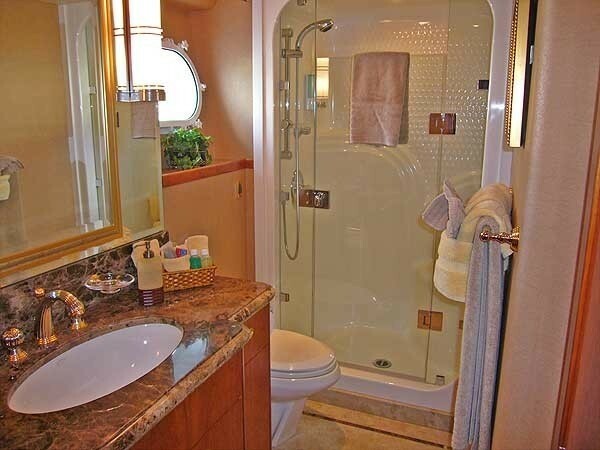 Both wash basins and toilets have central access to large jet-tub and separate shower with 2 heads. 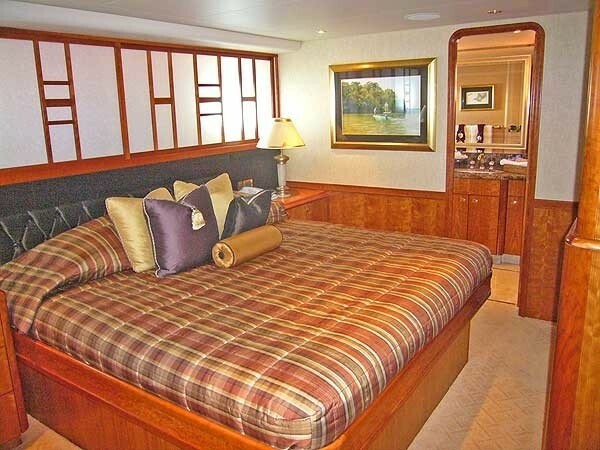 27” TV/VHS/CD/DVD/Surround VIP Stateroom: Amidships Below, Port: Walk around King Bed. Ensuite head with shower. 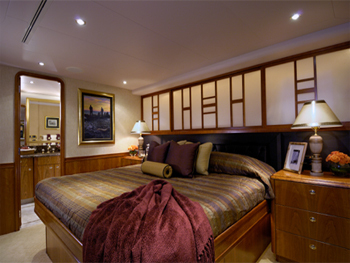 20” TV/CD/DVD/AM/FM/Surround VIP Stateroom: Amidships Below, Starboard: Walk around King Bed. Ensuite head with shower. 20” TV/CD/DVD/AM/FM/Surround Guest Stateroom: Amidships Below, Port: Twin Beds. Ensuite head with shower. 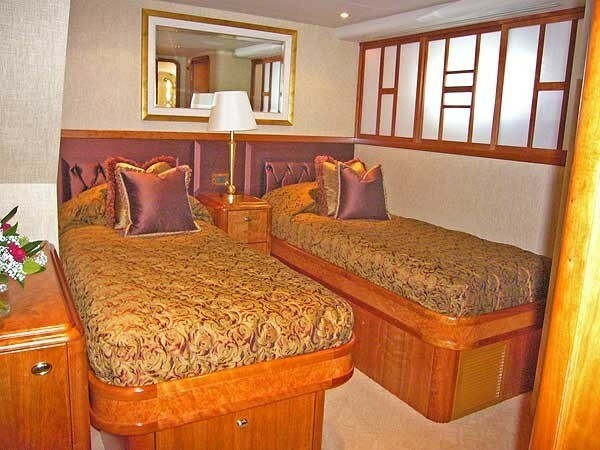 20” TV/CD/DVD/AM/FM/Surround Guest Stateroom: Amidships Below, Starboard: Twin Beds. 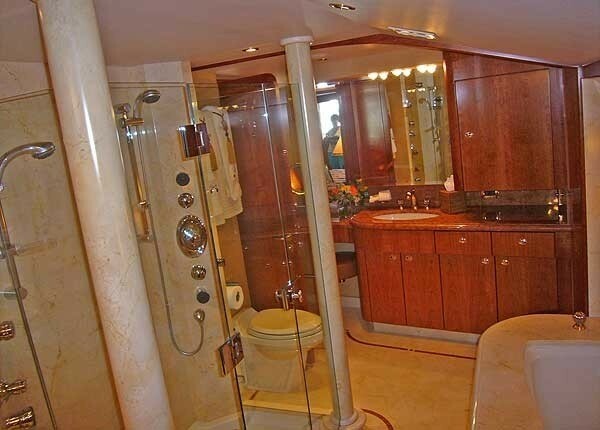 Ensuite head with shower. 20” TV/CD/DVD/AM/FM/Surround. 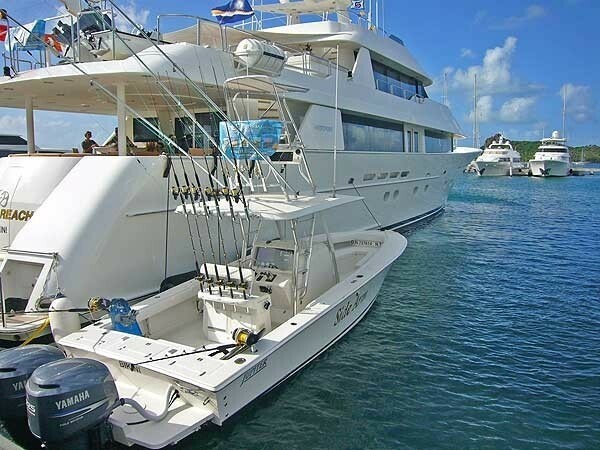 Tenders & Toys 31’ Jupiter (2)17’ Flats fishing boat – Hell’s Bay Extensive Fishing gear (2) Yamaha Waverunners (2) 3-man Kayaks Snorkel gear Water skis Wake board Knee board. 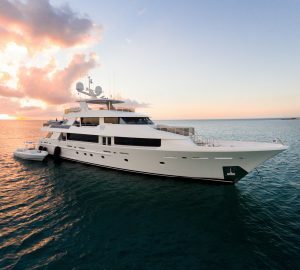 Audio Visual Equipment and Deck Facilities A/V Library DVD collection of over 100 movies Mini Library in Master and Sky lounge IPOD IPOD karaoke Wrap around decks Naid Stabilizers (2) Water maker 1200/day Air conditioning throughout (2) Washers & Dryers. 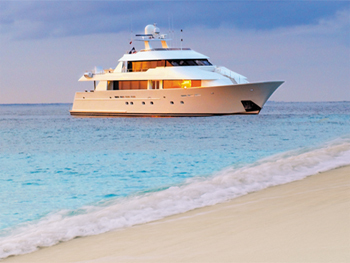 Communications WIFI throughout Wavecall 3000 Satellite phone Fleet 55 Inmarsat satellite phone Cell phone Fax facsimile receiver.